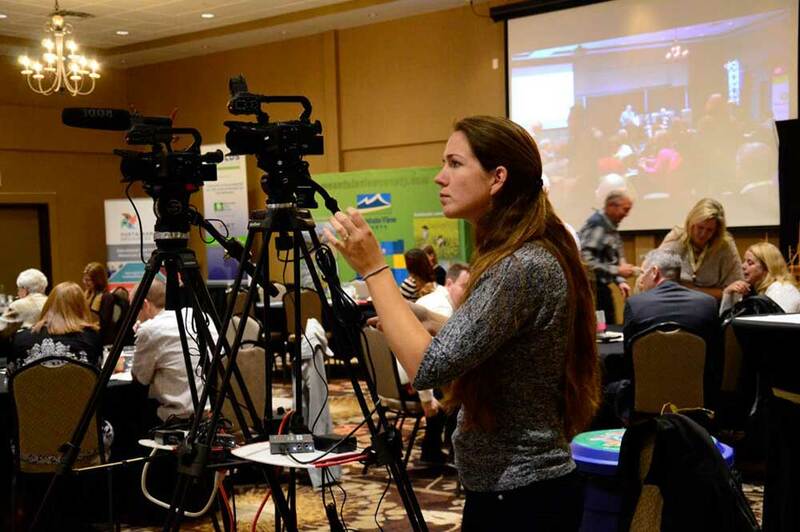 BRASSmedia Canada now offers live streaming of events in Olds Alberta. 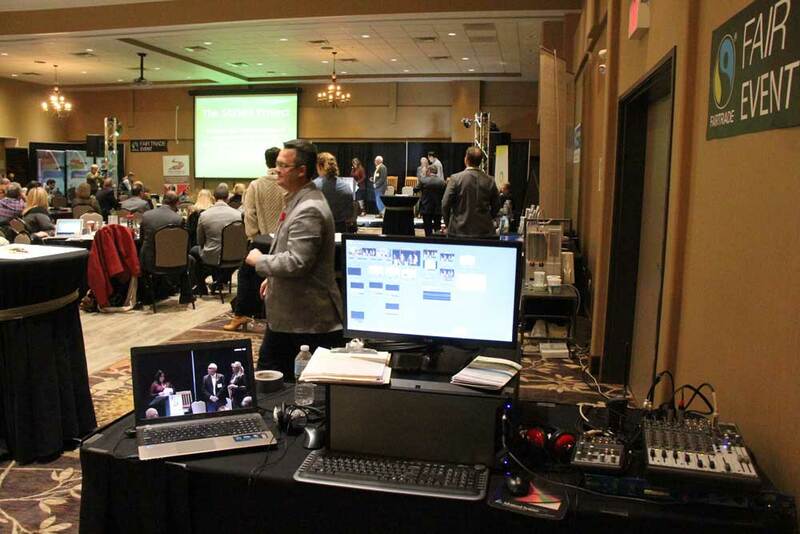 By making use of the super high-speed internet services from O-NET in Olds, we can stream your event to the web in High-Definition. We recently live streamed a three day conference featuring keynote speakers, concurrent sessions (recorded and played back later in the day) and recorded the sessions for publishing on the web by our client. We incorporated the open cards, sponsor credits and speaker power-points into the live stream and the finished videos. At the live event we also projected the live stream on wall screens in real time. Here are some photos of our setup at the event. We also used a third camera for a wide view of the conference hall. The command centre where the audio and video sources are mixed for the stream along with a computer to monitor the live stream. One of our crew hard at work with a view of the ‘video wall’ in the background. BRASSmedia Canada is excited to offer this new service to the community of Olds Alberta.